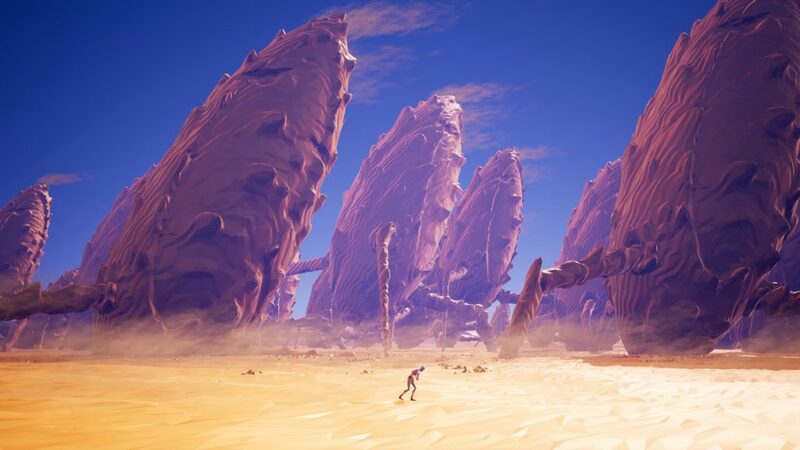 Planet Alpha is gorgeous. From the moment I started playing, I was impressed by the finely-crafted visuals of a dynamic and breathtaking alien landscape. There’d be moments where the foreground would fly by in a blur, and I’d be captivated by majestic sky-whales or neon flying mantas. The lush, verdant landscape is literally brimming with moments of wonder. This is our Planet Alpha review. 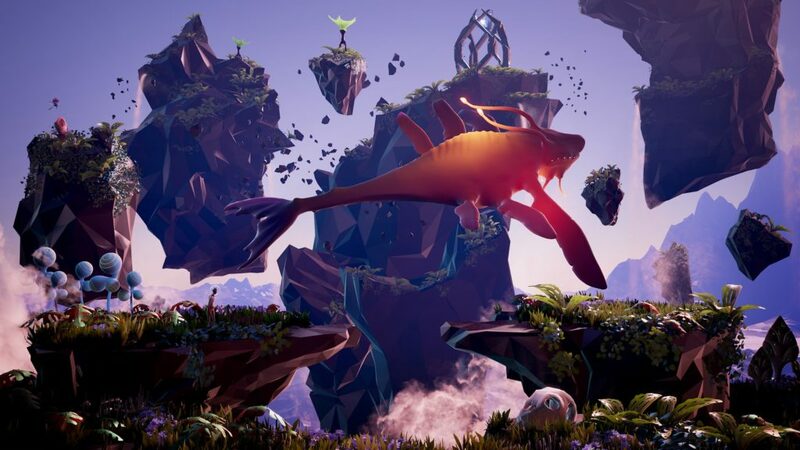 Don’t get me wrong, I’d be completely satisfied if Planet Alpha was just a virtual hike through exotic scenery, like an utterly outlandish screensaver. 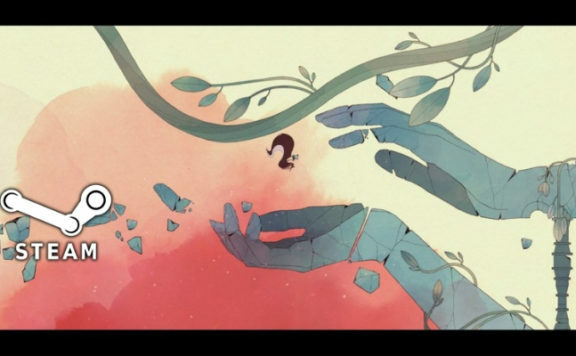 But there’s much more to this foreign world as a story gradually unfolds, putting nature and mysticism against the ruthless march of technology. As a game, Planet Alpha puts you in control of day and night. This extends to ecology and biology – what plants will bloom, what creatures will hide, and what architecture will shift. Understanding how the planet works is vital in order to hide, overcome enemies, and ultimately survive. The journey starts as a wounded space traveller, stranded in a remote desert on an unfamiliar world. There’s no derelict spacecraft or signs of any other survivors as you limp towards shelter, before eventually succumbing to your injuries. But then you wake up, and the world has changed – harsh sands have been replaced by a jungle teeming with life. It’s the start of a kaleidoscope of science fiction that doesn’t pause through Planet Alpha’s ten chapters. Before long, however, the bad guys are introduced. Based on b-movie archetypes and with a passing resemblance to the robot in Lost in Space, these invading machines seem hell-bent on shooting anything that moves – including you. In a pacifistic manner that suits the setting, there are no weapons or power-ups to collect here. 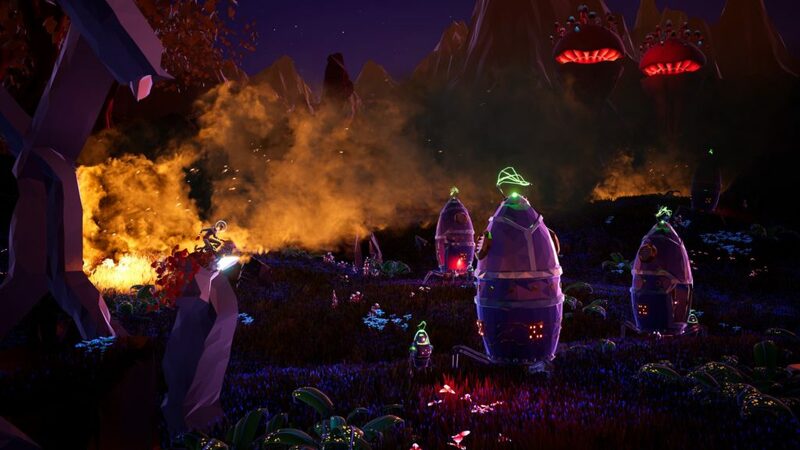 Instead, much of the puzzles in Planet Alpha involve manipulating the environment to avoid hazards, provide cover so you can sneak past, or luring the clumsy automatons into a trap. In an approach that reminds me of Journey and Monument Valley with a little FernGully and Avatar mixed in, Planet Alpha leans heavily on magical mysticism to explain the strange power of being able to manipulate the planet so that the stars spin, satellites race across the sky, and night becomes day. 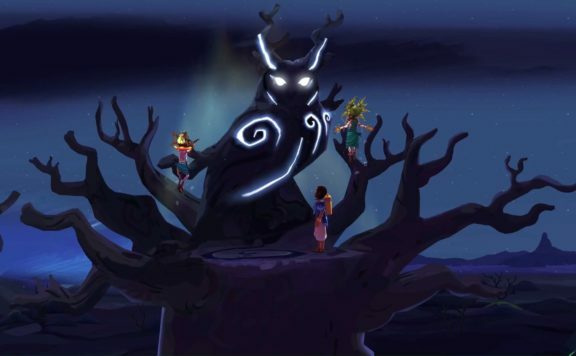 While it can be the key to solving puzzles that can block progress, this special power also changes the appearance of the world, causing fauna to bloom and creatures to emerge. It took me a while to notice it, but Planet Alpha has a sly trick up its sleeve – it has no loading screens. 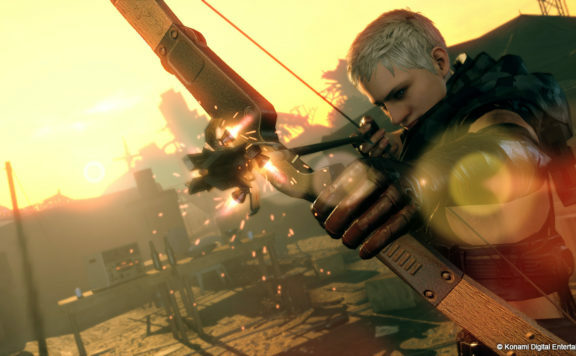 As the story shifts from chapter to chapter, the new level is streamed in seamlessly so that play continues, meaning that the game could be played seamlessly from end to end. Although some may feel that it’s a little short as a result, it certainly felt like a speedrunner’s paradise. It also felt low on frustration. Although I died numerous times the death sequence is refreshingly short, respawning me a short distance away so that I could retry the most recent jump sequence or puzzle. Yes, it reduced the challenge, but it also increased the lifespan of my controller. And, just as Planet Alpha would start to feel tedious, the setting would change and I’d discover something new. One moment I’d be racing through a jungle, the next I’d be digging through an insectoid lair, surrounded by glowing green eggs. Or I’d be carefully inching my way through a booby-trapped temple, only to be launched high above the clouds and leaping between floating islands. I tested Planet Alpha on the Steam PC version, but the platformer is also heading to Xbox One, PS4 and Switch. Even so, a controller is strongly recommended to get the most out of this. The jumps didn’t need to be pixel perfect, but wielding a gamepad makes them much easier to perform. Narrative is also completely non-verbal, making it suitable for a wide range of audiences. While there’s a hint of multiple paths through the chapters, the Steam version also has a number of achievements that should encourage replayability. Native cloud save is also supported if you tend to hop between rigs often. Ultimately, Planet Alpha is a visual feast, featuring a fantastical sci-fi world and backed by a hauntingly atmospheric musical score. 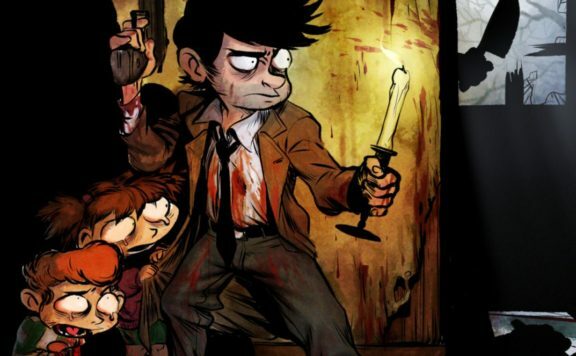 While it’s an old tale that treads over familiar ground, there’s plenty of new tricks to make it a rewarding playthrough. From flight sims to fireballs, in the most dapper way possible. 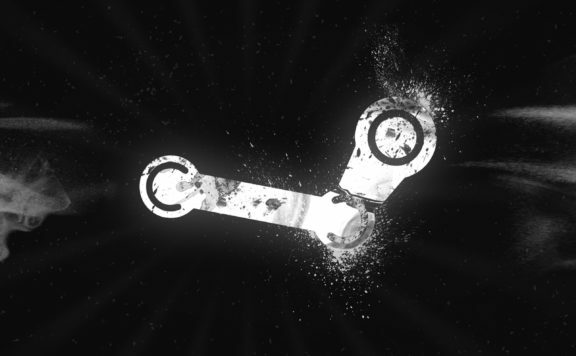 Steam High Five: Step Outside And Be A Hero! 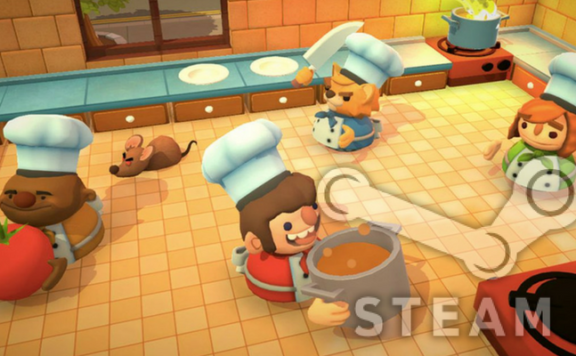 Steam High Five: August Is Cooking Up So Much Tastiness! This game looks incredibly beautiful!